Description: After conducting many raids in Kansas, including the massacre at Lawrence, Quantrill decided to winter in Texas. Along with other partisans, he headed south on the Texas Road and captured and killed two Union teamsters who had come from a post called Baxter Springs. 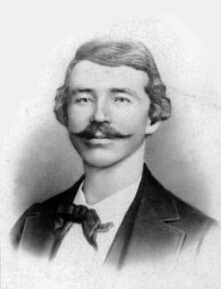 Quantrill decided to attack the post and divided his force into two columns, one under him and the other commanded by a subordinate, David Poole. Poole and his men proceeded down the Texas Road, where they encountered Union soldiers, most of whom were African Americans. They chased and attacked the Union troops, killing some of them before they reached the earth and log fort. After the Union survivors reached the fort, the Rebels attacked, but the garrison, with the help of a howitzer, fought them off. Quantrill’s column moved on the post from another direction and chanced on a Union detachment escorting Maj. Gen. James G. Blunt and wagons transporting his personal items from his former headquarters of the Department of the Frontier at Fort Scott to his new one at Fort Smith. Most of this detachment, including the band and Maj. Henry Z. Curtis (son of Maj. Gen. Samuel R. Curtis), was murdered, but Blunt and a few mounted men returned to Fort Scott. Blunt was removed from command for failing to protect his column, but he was soon restored. Touted as a massacre by some, Baxter Springs was another of the events that characterized the vicious Kansas-Missouri border warfare. The Battle of Baxter Springs, sometimes called the Baxter Springs Massacre, was a minor battle of the American Civil War, fought on October 6, 1863, near the modern-day town of Baxter Springs, Kansas. In late 1863, the guerrilla band of Quantrill's Raiders travelled south from Kansas along the Texas Road to winter in Texas. Numbering about 400, this group captured and killed two Union teamsters who had come from a small Federal Army post called Fort Blair. Quantrill decided to attack Fort Blair and divided his force into two columns, one under him and the other commanded by a subordinate, David Poole. Poole and his men proceeded down the Texas Road, where they encountered Union soldiers, most of whom were African Americans. They chased and attacked the Union troops, killing some of them before they reached the earth and log fort. Poole's column then attacked Fort Blair, but the garrison fought them off with the aid of a howitzer. 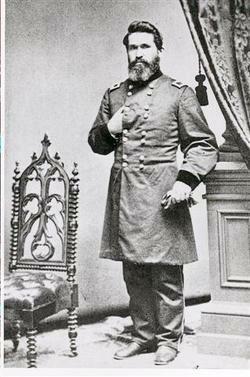 Quantrill's column moved on the post from another direction and happened to encounter a Union detachment escorting Maj. Gen. James G. Blunt as he was in the process of moving his command headquarters from Fort Scott to Fort Smith. Most of this detachment, including the military band, Maj. Henry Z. Curtis (son of Maj. Gen. Samuel R. Curtis), and Johnny Fry (first official westbound rider of the Pony Express) was killed, but Blunt and a few mounted men escaped and returned to Fort Scott. Blunt was removed from command for failing to protect his column, but he was soon restored. Touted as a massacre by some, Baxter Springs was another of the events that characterized the vicious Kansas-Missouri border warfare.